The EPRDF is dead, long live the EPRDF! What likely would you know about the challenges of governing a nation with deep pockets of poverty?” This rhetorical question was included in an open letter published in the Ethiopian Herald in 1994 by the Swiss Ambassador. 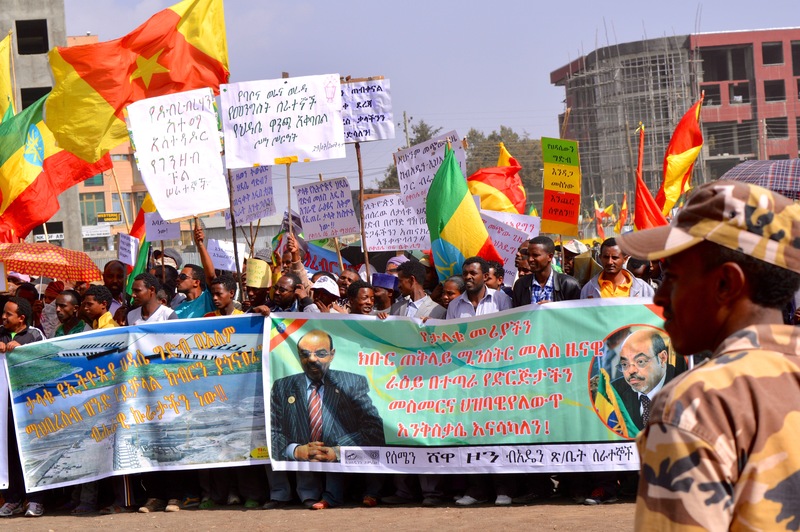 It was targeted at Mesfin Woldemariam, the founder of the Ethiopian Human Rights Council, and some of his early broadsides against the EPRDF. Nearly 25 years later, it still rings in my head when I raise my pen to criticize my government—struggling as it is against the same nemesis. In some respects, the challenges have heightened. People of modest income are no more resigned to their fate; they are neither as modest nor as inexperienced as they were then. 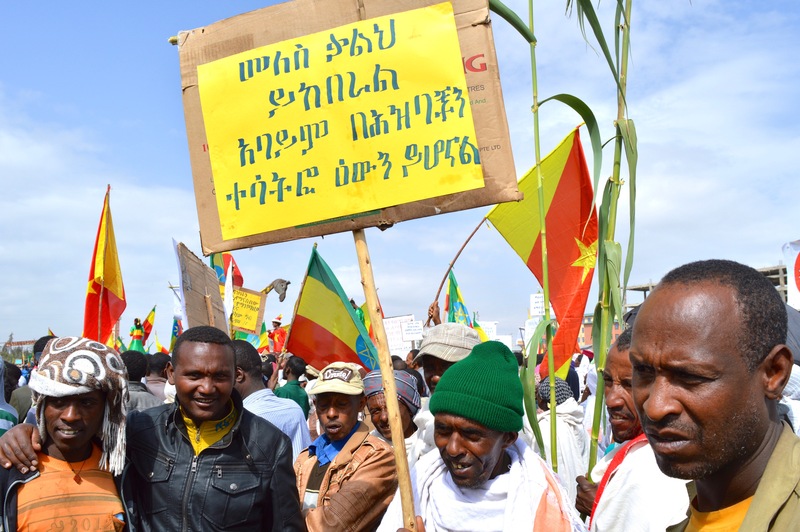 Enlightened of personal possibilities, aware of group rights, and equipped with digital connectivity, today’s Ethiopians do not only pose a challenge to governance; they question the very authority by which they are governed. Finding the answer to such questions is now a matter of survival, not only for the ruling EPRDF, but also for the motherland. It has been only four years since internal disobedience first flared within the OPDO in Adama over the greater Addis master plan; and only two since the rebellion assumed a countrywide proportion due to a simmering territorial dispute over Wolkait, a contentious enclave where people speak Amharic and Tigrigna. It was part of Gondar, an Amhara province, during previous governments, but since 1991 has been positioned in Tigray, ruled by the powerful, seemingly untouchable, TPLF. The least costly consequence—albeit one that led to the most expensive—is the resurgence of ethnic strife. A majority-minority tussle in which those greater in number feel under-served or cheated, while the lesser claim to be swamped or sidelined. This social affliction has been used for political expediency on at least two occasions in the past. In the early 1990s, historical resentments of nearly all ethnic groups was raked up and used to subdue the Amhara. A decade later, a similar ruse was used against the Eritreans to mobilize support for a bloody conflict caused by two spitefully proud and incompetently belligerent governments. The same poison is sprayed now against the Tigrayans, the Wolayta, or any ethnic group whose dislocation is required to divert attention from the question of socio-economic rights. True, ethnic strife fuels the unrest, and leads to the worst face of the revolt. But even the most outspoken unionist will admit that the historic roots of most conflicts date back to expansionist wars between the largest ethnic groups in the Land of Origins: the Amhara and the Oromo. And as I have so often remarked, accusing the TPLF/EPRDF for sub-national conflicts is like blaming Clara Zetkin for inciting household discord by highlighting gender inequality. The EPRDF may indeed have been overzealous in stressing these differences, partly to consolidate its power and partly to drive home the need for a federalist solution. The decentralization and democratization process, essential as it is for development and good governance, has also incorporated the dissemination of a vernacular of rent seeking and patrimony. And this did create the potential for localized squabbles. However, the current disruption may be the last flickers of a dying fire. My optimism stems from the one indisputable achievement of the federalist constitution. Because of it, we Ethiopians have undergone a rude awakening of the Marxian kind, a cultural shock that still leaves some of us lodged in a state of denial. That the Front has gone astray from its revolutionary democratic path—and used those in denial or just waking up from their slumber as tactical weapons for internal power plays—does not change a fact that is of paramount importance: today’s diverse Ethiopia is more liberal in ethnic terms than it ever was in its entire history. But the puzzle is how many last flickers of life are needed for us to accept that all Ethiopian men and women are free and equal, even if they speak in myriad tongues. How many of us need to perish to learn that “in violence, the victor is a victim, and a killer, the vanquished”, as the Prime Minister often says. The second least hurtful damage from the revolt may be the proliferation of populism—a stratagem that upends the EPRDF’s tactless tactic of playing the long game no matter the immediate cost. Populism as a weapon of mass mobilization must be as old as politics itself. And the EPRDF had dished it out too, on several occasions. But compared to its official abhorrence of populism and cultism, the flagrant use and abuse of both in recent times may have weakened the Front in two respects. First, the populists’ need to appeal to the sensibilities of the unruly meant the negating of the esoteric terminology of the Revolutionary Democrats, which had been successfully employed to subdue free discourse. Phrases such as ‘Democratic Developmental State’ ‘rent seeking’ or ‘Growth and Transformation Plan’ had helped prevent the party’s agenda from being diverted by ‘petty’ talk. Second, the need to rouse emotions in a rally requires less esotericism and more lucidity, even a measure of vulgarity. At the very least, it requires the ability to deliver a sermon with the apostolic conviction of a savior. Judging from recent events, but for one person in the Front, I doubt the EPRDF holds a competitive advantage over its opponents in wielding such rhetorical tools. And such showmanship will soon be crucial as another real election campaign impertinently interrupts EPRDF navel-gazing, only a decade and a half after the last one. The third most damaging development was that the prolonged lack of team spirit in the EPRDF leadership, in the aftermath of the revolt, has advanced into a phase of open internecine hostility. This was understandable and expected when it materialized between patrons and protégés, or when vested interests in the east failed to respond positively to peace overtures extended by Lemma and Abiy to the Somali region leadership. But when one hears reports that local officials were aware yet passive as communities were targeted by marauders in Burayu—while on the contrary the newly invited opposition assumed the role of the incumbent, reportedly entreating the youth in Oromia to resume normal life, go back to school, work, or do anything but dangerous vagrancy—one wonders if there is a wicked sabotage from within the Front, attempting to force a dovish leader’s hand. Lacking sufficient collegiality, even the wildly popular reformer-in-chief has been tested and pressed from every end. The Amhara Democratic Party (ADP) has failed to contain, and some even suspect that factions in the party may be encouraging, anti-Tigray sentiments in the region’s youth. I personally suspect that the ultra-nationalist National Movement of Amhara is partly of ADP’s making. Its stand at the EPRDF conference was considered by some participants as disorderly, even meddlesome. But for the deflection from the Welkait issue, a big bone of contention between TPLF and ADP, by Demeke Mekonen, who said the issue would be decided constitutionally by residents, Abiy might not have been able to address a more touchy matter. That was to unflinchingly inform the Congress that it cannot question the right of the TPLF to elect whomsoever they wish into their share of the executive committee. Of course, despite everything, he later demonstrated his absolute dominance by receiving an almost unanimous re-election; presumably as he is the only candidate trusted to last the course for the Revolutionary Democrats. Perhaps the second most serious cost to society from the revolt, a cost only exceeded by the loss of limb and life, is the damage done to the state’s monopoly on violence. For as long as earth has experienced the gregarious nature of humans, elites have wavered between the choice of “great disorder” and “violent order”. And in Ethiopia, a changing of the guard has customarily been occasioned with a fair share of blood shed from every class—although lately, people of low income seem to contribute disproportionally. In all places, post-revolt melees nearly always lead to rampages and carnage. Mob justice is goaded by the fear-scent, or rather stench, emanating from a feeble leadership. It is an occupational hazard for societies poised in the critical state between an uprising and a bona fide revolution. One must also admit that the extent of the damage from the present uprising was aggravated by the reform targeting political parties and institutions of state security, such as the ENDF, NISS, INSA and Federal Police, or even economic entities such as MetEC, instead of being directed at people responsible for abusing those establishments. It is understandable, though. Prme Minister Abiy’s Medemer motto, a summation of the totality, meant the reform had to blame all and pardon all. Thus the process has completely discredited the security institutions. But, sad as it may be, the excessive use of the monopoly of force was always what ensured the safe continuance of the new order. Now, in a very unusual manner, and to the dismay of many conservative elements of society, the present regime, in disagreement or confusion, has refrained from such violent recourse—even when entreated by religious leaders to take “all necessary measures to ensure the rule of law”. Given the security apparatus—revered and feared since the days of the monarchy, and handed down intact from regime to regime with all its domestic and foreign intelligence—has been all but jettisoned at the early stage of the reform, leaders cannot be too cautious in using force to quell unrest in a business-as-usual manner. If they do not, it may suddenly get out of their hands and into those of vagrants, who may well assume the role of local warlords. The ENDF, NISS and Federal Police were seriously exposed by developments during the reform; ridiculed by the (social) media, and uncoordinated with most regional or federal, party or state organizations. There was, and still is, a looming national security breach. Although the open-arms reception of exiled fighters from abroad turned out to be a two-sided tactical sword, somewhat wickedly managed by the EPRDF, which cast opponents as responsible in disarray and irresponsible in pomp, there was also the potential for a proliferation of violence. Even in the case of the bloodshed in the east in July this year, in which the Defense Forces took stabilising action, there were outcries of unconstitutionality. In most other places, the inconsistent application of force made the state look hesitant at best and collaborative at worst in the public eye. 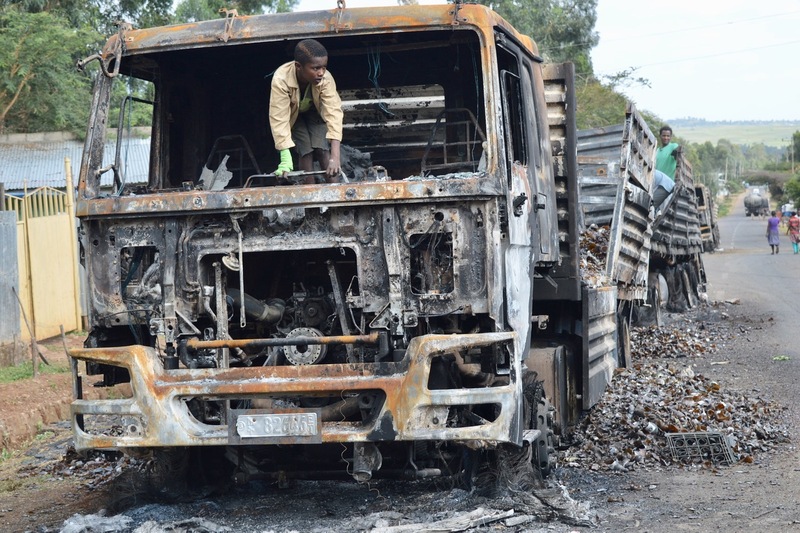 This has been and still is costly to the EPRDF’s attempt to achieve peace and stability throughout the country. The worst damage is the saddest of all: the thousands that died and more than a million that fled their homes, many because they spoke in tongues different from their persecutors. And it is still going on, and permeating all forums. Even at ANDM’s 12th Congress, a representative from Benishangul-Gumuz revealed to all how a day before a group of five officials from Kamashi Zone were massacred while traveling back from an assignment related to ethnic conflict. Again, although these gory sides of the reform elicit claims that they are the unwanted offspring of ethnocentric politics, I demur. Politics is predominantly moralistic by nature, although frighteningly amoral in its mutated configuration. These are the monstrous doings of Revolutionary Democrats gone rogue. The remedy is a dedicated reversion of the Front to its true ideological path, albeit preferably with a greater focus on democratic process than revolutionary fervor this time. Nobody knows how many have died in ethnic conflicts across the country; maybe even fewer care to know the exact number. Because, unlike when there was a security apparatus to abuse or defend, the victims from the conflicts of today do not carry any political leverage. At least not yet. Surely, all unrest has the potential as well as the motive of political manipulation. But as clandestine as the instigations and as covert as the manipulations are, the accuracy of the numerical outcomes will also be less overt. But, watching the violent death of a loved one should always be one too many, in any society and under any circumstance. And it must be one reason why the new EPRDF should recoil from using force to stop force, refusing to stop killings by killing. And yet, when one hears the rising thunder of a raging crowd about to storm one’s not-so-impregnable-after-all barricade, one can easily abandon the cry for civil rights and beg instead for the barrel of a machine gun. In this respect, I laud the EPRDF as a front, and the TPLF especially, for restraining their trigger-happy nature and waiting patiently until the raging anger of the people subsides. Notwithstanding the latest mayhem, the rage has subsided in many places. Yet millions remain displaced and the tight knot of fear in my belly makes me question if we are not maybe still in the eye of a killer storm. Of course, the fruits of the revolt were not only bloody and bitter. The wrathful reform has yielded some enduring values. For one, the turmoil has put in stark perspective the two-faced nature of civil rights—individual and collective—enshrined by the federal constitution and hypocritically practiced for decades by the state. It has also proved that equity and inclusivity are the two most necessary, if not sufficient, conditions for the viability of the Ethiopian federalist state. At least within the EPRDF, the latent controversy about the choice between unity in diversity (meaning no Article 39) or diversity in unity (meaning no Ethiopia without Article 39) seems to be resolved in favor of the latter. For now, at least. A subtler development from the revolt was a new stage in the ethnic politics of Ethiopia. An old contest has come of age; a clash of the titans: the Amhara and Oromo. In former days, Mecha-Tulema, Wako Gutu, Jara and the likes raised Oromo flags as a struggle for national equality. The Oromo are no longer fighting only for their rights to be respected. Instead they are fighting for their rightful place as head of the Ethiopian state. Suddenly an ancient country in danger of defeat at the hands of a second secessionist insurgency reverses the situation in its favor. On both fronts. For now. Given the smooth passage of the EPRDF Congress in customary orchestrated manner, the way forward should be easy to narrate. Unfortunately, there are two matters that make prediction difficult. One difficulty is that the Front, being burdened for long with a systemic affliction of subservience, will find it difficult to consolidate its deep reform without massive purges to reduce its bloated membership and jolt its lethargic leadership out of its stupor. This exercise is likely to be riddled with malice and knavery for a prolonged time ahead. And it is hard to tell how things may unfold with such a cloak and dagger affair. In the past, when TPLF or Meles were dominant, ‘reform’ could mean the execution of a purge with surgical precision. Lately, new members at all levels are appended on an old fabric, giving the reform an appearance of a coat of many colors. More dangerous than its appearance, such a patchwork will render the parties and the Front an arena of numerous battle grounds among patrimonial networks, which may soon lead to the outright unraveling of the old cloak. The second challenge is the shared responsibilities between the federal and regional authorities for matters that led to the turmoil and the reforms that will sweep them away. For tangible problems will not fade away with real or imaginary “anti-people” and “anti-reform elements”. Instead, the two-tiers of government, which extend to the smallest administrative unit, kebeles, need to assume shared responsibility for the past, as well as for the future, and work hard on solutions; and hurry too. Because, no matter how much in pomp or disarray, the one sure advantage the opposition has in any upcoming contest is their innocence from the bloody mess we have on our hands. Technically, responsibility for the security and cohesiveness of the state goes mainly to the federal leadership, while the welfare of the people lies more in the hands of regional and local leaders. The unity of the Front and the health of the respective parties—including how they all fare in elections—should reflect this broad framework of responsibilities. If the leadership agree on this framework, despite the inevitable mass purge at all levels, the way forward may be easier to chart. Having taken stock of the damages from the revolt, in consideration of the difficulties that blur foresight, and appreciative of its blitzkrieg achievements so far, there are three areas of concerns the Front needs to address as it presses forward: peace, stability and prosperity; an unequivocal adherence to a more sincere revolutionary developmental democratic line; and preparations for winning fairly and peacefully in local and national elections. Peace and stability are the toughest yet the most straightforward. “Rule of law and not by law” is a fashionable catchphrase in civil society forums today. And there is a very good reason for this. It is a warning against the muffled ears of the EPRDF, which arguably are the main causes of the revolt. It is a plea to respect human rights under any circumstances. It is a cry against a repeat of the EPRDF’s history of legitimizing foul play committed in the political space by laws enacted in haste or in retrospect. The independence of the electoral board, constitutionally constrained homeland security forces, an unfettered judiciary that can deliver swift justice to all violators of the law, and respect for the freedom of speech and press by everyone, everywhere, city or country. These are the surest places to start the process of peace and stability. The army should also be tested to see if they can earn at home the same renown they earned in peacekeeping abroad. We do have also a militia force that outnumbers the size of the army many fold. One should also consider if the most disciplined of these rearguard forces need to be trained in short-order and assigned alongside the defense forces at some of the remotest areas of conflicts. The bottom line is homeland security is about covering ground, and poor Ethiopia still does not have the resources for a comprehensive footfall. Discipline and organization is therefore important. But when you have to cover 10,000 kebeles across a million square kilometers, size matters most. With regards to making people believe the Land of Origins is also actually a Land of Milk and Honey, EPRDF should start from the extreme by compensating those displaced and looted. The ruling party must also arouse an audacity of hope in the business community, one that continues to encourage the high rate of foreign currency inflows registered in the past few months; and one that will ensure a continuation of the investment fever that has been shouldering a significant weight of the deficit-financed imports and economic output. Notwithstanding the absence of a financial plan to execute such a grand scheme, GTP I and II are still great transformation plans, if you will excuse the pun. In them one can relate the political, economic and social aspirations from which most of the EPRDF’s sermons were fabricated. “Fabricated”, because I have learned that very few in the EPRDF still believe in the GTPs’ final goal: the conclusion of the EPRDF’s raison d’etre. This brings me to the second concern the EPRDF has to address—its ideology. 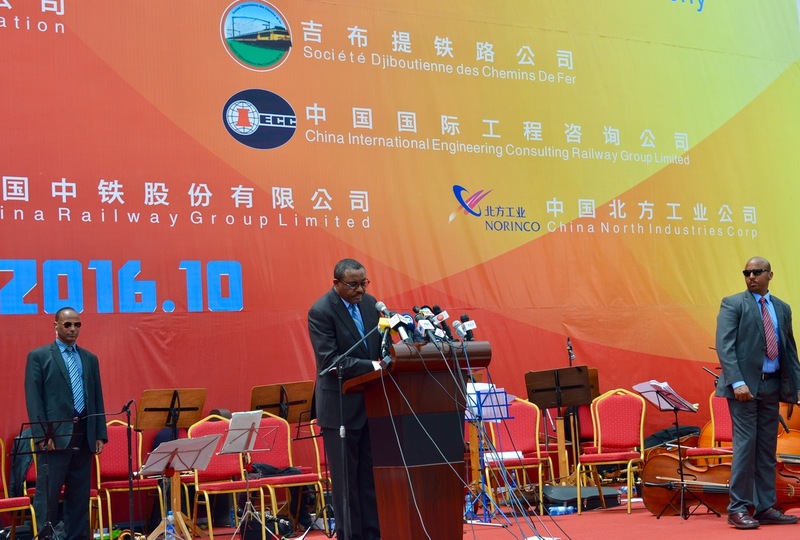 According to the earliest revolutionary democratic documents of the EPRDF issued in May 2000 and again in late 2005, the sole purpose of the Revolutionary Democracy Path is for the transformation of the rural economy to modern industrial prosperity, and the liberation of the peasant class from dependence on land and subservience to its politically appointed gate-keepers. The theoretical case for revolutionary democracy has been argued since before the October Revolution, although its primary tool, democratic centralism, is an invention of Lenin, most innovatively used to cruel excess by Stalin. Using democratic centralism, millions were indoctrinated to understand this purpose. Although abused by many and for long, the imperative for political allegiance in public assignment was also based on loyalty to the class of the peasant. Today, allegiance is mainly to patrons by protégés, and rarely to that class. Fortunately, the deep reform may have reminded the Front that the revolution is far from over and that development and democracy still need to be equitable and inclusive for everyone and everywhere. And since in Ethiopia the rural folk are nearly everyone and everywhere, the Front, meaning the Revolutionary Democrats, seem to have remembered why they established a Front in the first place. The process of development and democracy begins and ends with the farmers and pastoralists. That must be why, at the Congress in Hawassa, the now Minister of Peace was very much at ease when she said: all parties have allegiance to a class and ours is to the toiler. And that must be why the chairman, Abiy, nonchalantly offered to revise the program from revolutionary democracy if a better ideology comes along; a task he deferred to the next Congress, a point likely to be after the mother of all elections. As to elections, unnerving as it may be, the most vulnerable element in the EPRDF today is also its strongest—the nation’s beloved Prime Minister. Hence, safeguarding Abiy from political as well as corporeal adversity seems to be a matter of survival for nearly everyone, individual or collective. The necessity of protecting Abiy from bodily harm is most apparent. But the EPRDF needs also to protect him from political blunders or economic paths that may lead to one. Many in the Front will certainly now accept the fact that if ever their most popular leader goes down, the EPRDF goes down quicker. And if the Front tears itself apart, I sincerely doubt any but TPLF among the four would have the posture to sustain themselves as an independent party, if only because it has managed not to allow the consolidation of any opposition in Tigray, its home territory. For all of the EPRDF, restraining personal ambitions and avoiding short-termism, favoring national interests and targeting the long-view will be most prudent. A game of thrones on the edge of a precipice may be exciting to the audience at large, but it is an absurdity of epic proportion to play such games today, and one that will not go down well in history books. For an example, look at the recent shenanigans in the upper echelons of ADP. Even when an attempt to honorably discharge Demeke Mekonen, which was reportedly arranged with his consent and the promise of a prestige reward, suddenly took the appearance of a botched putsch at the Bahir Dar conference, and the leadership recoiled respectfully and somewhat awkwardly, the experience would still leave a bad taste in the mouth of the slighted, who may in the near future be uncooperative and suspiciously wary. For I suspect such movements at the top would momentarily have dismayed many who anticipated better positions from the would-be openings. And in elections such grudges may turn potential assets into certain liabilities. The moral of this story is that caution and restraint from intrigue and a sincere focus on ideology and popular causes will win the day. All leaders, even lovey-dovey Abiy, will be better off with fair criticism, and even being tested now and then by a little bit of malicious ambition. But it will not help the reform at all to blindside one of its spearheads in public; especially when the Front needs all its hands on all fronts before the upcoming local and national elections. As for us the public, given our history of misery and tyranny, it is only natural for us to elevate our leader to the level of a messiah, and expect him to deliver us from all that is evil, even that of our own doing. The best place for us to start will be by forgiving. Not just forgiving those who harmed us; but most importantly forgiving ourselves for the harm we did unto others. The reform has shown us the true nature of our political choices too. A Front which still sports millions of members was exposed; its grassroots constituency turned out to be mainly that of the opposition. The political narrative of decades suddenly became pale and wanes in comparison to the common appeal of the new guests in the arena. With regards to the beloved leader, thankful as many of us are to the ruling party for showing us its brighter side, we shall still take the lessons from the old Russian proverb; Доверяй, но проверяй (Doverai no proverai). Trust, but verify. And we shall wait, armed only with ballots, for election day.